Five new members of the Jette Parker Young Artist Programme have been announced. American soprano Francesca Chiejina, British mezzo-soprano Angela Simkin, New Zealand tenor Thomas Atkins, Hungarian baritone Gyula Nagy and South African bass Simon Shibambu will all join the programme for two years starting in September 2016. The singers were chosen from a pool of more than 400 applicants from 50 countries. The search began last September and since then three rounds of auditions have taken place. 12 singers from the hundreds of applicants were invited to audition on the main stage at Covent Garden, where they sang in front of a panel including Music Director of The Royal Opera, Antonio Pappano and Director of Opera, Kasper Holten. The Jette Parker Young Artists Programme supports the artistic development of young professional singers, conductors, directors and répétiteurs at the start of their careers. 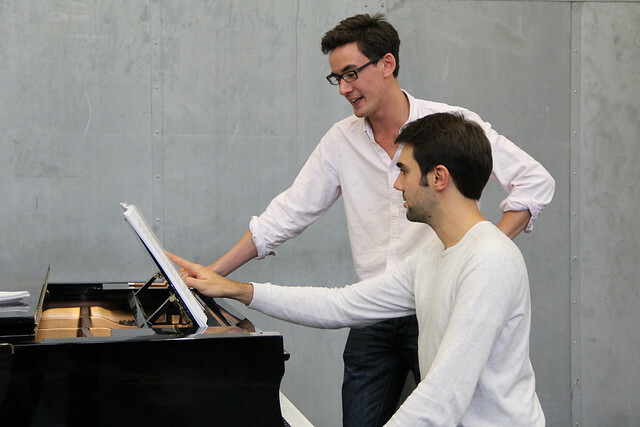 During their two-year placement, Young Artists work on productions for The Royal Opera singing small roles, covering larger roles or joining the music or directing staff. Audiences are invited to Meet the Young Artists Week at the start of each Season — a chance to meet the new intake and hear them perform with those continuing for their second Season. Both the Jette Parker Young Artists Programme and Meet the Young Artists Week are generously supported by Oak Foundation.